A viral Facebook post in December shared the heartbreaking story of a stolen Aggie Ring and two stolen wedding rings as the result of a home burglary in McKinney. Amanda Anderson ’01 wrote that among other items, her wedding ring and her late husband’s wedding ring and Aggie Ring were taken from the home. 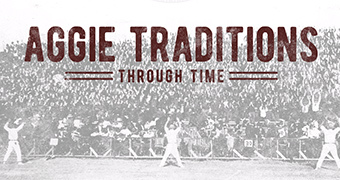 The post garnered overwhelming support from the Aggie Network, having been shared over 7,000 times since. But through the selfless generosity of the Aggie Network, the Aggie Ring of Amanda’s late husband, Nathan Anderson ’02, was replaced and recently presented to her and her family. 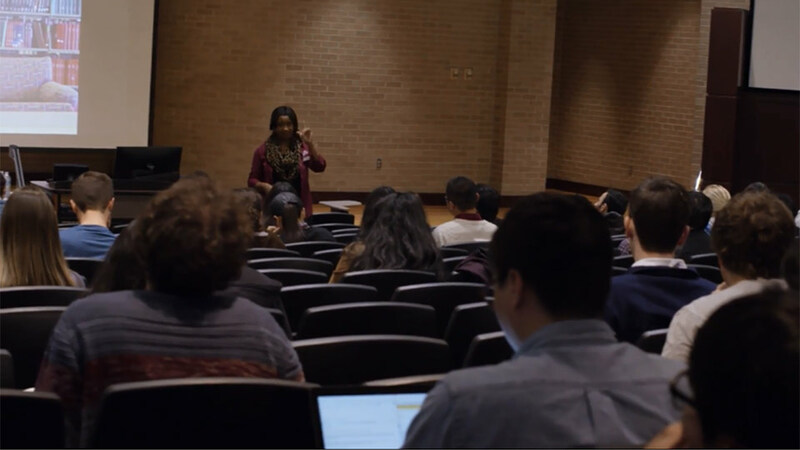 Barbara and Donald Zale ’55 and Helaine and Gerald Ray ’54 were deeply moved by Amanda’s story and reached out to Julie Scamardo, manager of the Aggie Ring Program, with their desire to help. 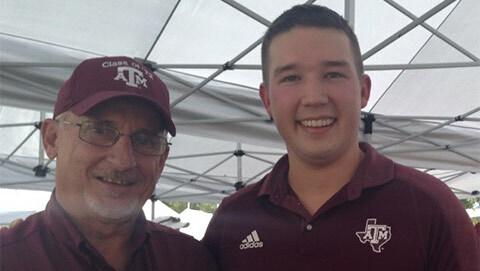 It was their “heart for Aggies, especially those who served our country,” that lead the Zales and Rays to want to replace Nathan’s Aggie Ring for Amanda and her family. Scamardo was able to coordinate a meeting between the Zales and Amanda and her two young sons, Randon and Cole, on the afternoon of the Fallen Heroes Run, a 5K race that funds scholarships in memory of fallen heroes like Nathan. The group met at the Clayton W. Williams, Jr. Alumni Center on the afternoon of May 6 for the special presentation. With teary eyes Amanda accepted the Ring from Zale, thanking him for graciously returning this memory of Nathan to their family. U.S.M.C. Maj. Nathan Anderson '02, was tragically killed Feb. 22, 2012 in a helicopter crash during a training exercise at the Yuma Training Range Complex near the Arizona-California border. A tribute to his memory published in March 2012 can be found here. In addition to gifts made specifically to Ring or other scholarships funds, the Aggie Ring Program is supported by donors to The Association of Former Students. 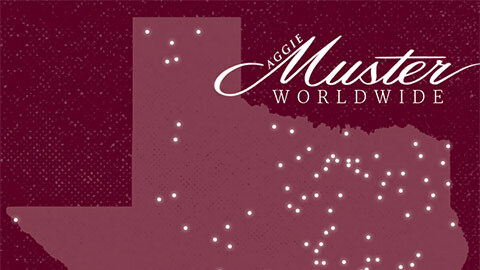 Visit https://www.aggienetwork.com/giving/ to learn how you can support the Aggie Spirit.